A few weeks ago my husband and I had the great parental pleasure of seeing our now grown son honored by an organization that had been particularly important to him growing up. Seventeen summers ago, he had the opportunity to attend the Kentucky Governor’s School for the Arts (GSA), a program that for 25 years has been bringing together high school students from around the state to study, perform and produce in multiple arts disciplines for three intensive weeks of residency on a college campus under the mentorship of professional artists. The full cost for each student is covered by an appropriation from the Kentucky General Assembly, along with corporate, foundation and individual donations. I write this post in a week when it’s been announced that a subcommittee of the US House of Representatives has cut the budget of the National Endowment for the Arts (NEA) by half (House committee proposes funding cuts for NEA, other arts groups). Meanwhile in education, many governmental bodies and schools are ignoring the arts over concerns about accountability in traditional academic disciplines like english and math. This is true despite long recognition that in addition to being worthy of practice and study on their own, the arts provide an effective and engaging way to explore subjects of all kinds for children and adults alike (see research at National Assembly of State Arts Agencies & Arts Education Partnership). And we know that the arts contribute mightily to the development of creative thinking and collaboration, critical 21st century skills. That now long-ago summer, our son, then between his sophomore and junior years in high school, was accepted as a student in GSA’s creative writing program. Long an eager and prolific writer, he and we knew at the time that he’d enjoy GSA as an opportunity to kick back and compose in the company of other young writers and artists in other disciplines, unfettered by the usual classroom demands. What none of us realized was that thanks to that three-week incubator, our son would come to learn what it takes many adults years to recognize, if they ever do: Interest and talent are terrific, but they don’t get you very far without discipline, focus and hard work. He came out of GSA transformed as a student and as a writer. 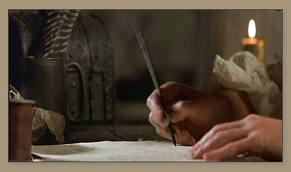 He learned that while drafting a piece might come easily, honing and polishing it is when the real work begins. And, as he told the young artists who watched him receive his distinguished alumni award a few weeks ago, it was that experience half his life ago that made him realize he was and would be going forward a writer (his emphasis), no matter what else he did in life. As it turns out, he did in fact become a successful journalist and author, and he traces his roots in great part back to those three summer weeks of state-supported arts education. Our son’s life, and those of many other young artists, was profoundly and positively shaped by an experience he wouldn’t have enjoyed without broad community support. Kentucky is fortunate that even in these challenging economic times, its summer program for young artists continues. What opportunities for young artists exist where you live, and how might we ensure that these continue for subsequent generations? Please respond with your thoughts and experiences, and we’ll explore in a future post. This entry was posted in Blog and tagged arts, arts education, content literacy, education policy, writing. Bookmark the permalink.